In the most recent U.S. Family Travel Survey, travel agents ranked as one of the industry’s top suppliers—with a grade of B-plus. For travel agents who want to turn that grade into an A-plus, there are some key ways to earn extra credit. The families participating in the survey gave agents some easy benchmarks to hit, making clear that affordability and planning are the two major areas in which they struggle. Travel agents can shine for their clients by putting some simple strategies to work. 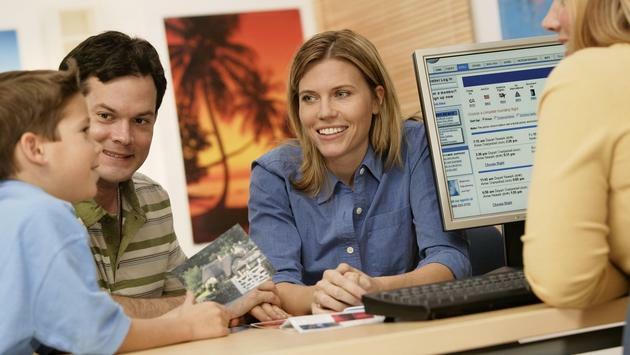 Families don’t have time to go looking for great promotions and discounts targeted just for them, but travel agents have a database of clients filled with personal information, and they are constantly bombarded with deals and offers that they can sell to clients. Make planning easy for families and locate packages and deals that are just right for them or outline an itinerary that you think that they would love. Set yourself up as a resource for families when they have questions and make it clear to them that you are there, personally, to advocate for them before, during and after the trip. Families are also looking for affordability. Paying for vacation is a big hurdle for families, and the U.S. has fabulous options for even the most experienced traveler. Travel agents can stand out to their clients by planning journeys that skip flights altogether and pile on the adventure right in a family’s backyard. Rail journeys, glamping and road trips are soaring in popularity, and there are exciting ways to explore even the most on-the-beaten-track destinations or new ways to experience off-the-beaten-track ones in comfort—and on a budget. Financing a trip for an entire family can easily soar beyond the $10,000 mark and many families don’t have that kind of cash lying around, let alone paying for an expensive vacation upfront. The good news is that they don’t always have to. If you know your clients don’t have or want to drop a small fortune on their next family outing, let them know that they have options. Travel agents are here to help families save money for amazing trips. Don’t struggle to plan a vacation, let a trusted travel agent do it for you.